History: Manis came to the centre from the Lok Kawi Wildlife Zoo in August 2009. She was an adult and was suspected to be pregnant. However, her pregnancy was later found to be a pseudopregnancy where she only showed signs and symptoms of pregnancy and in fact, was actually not pregnant. 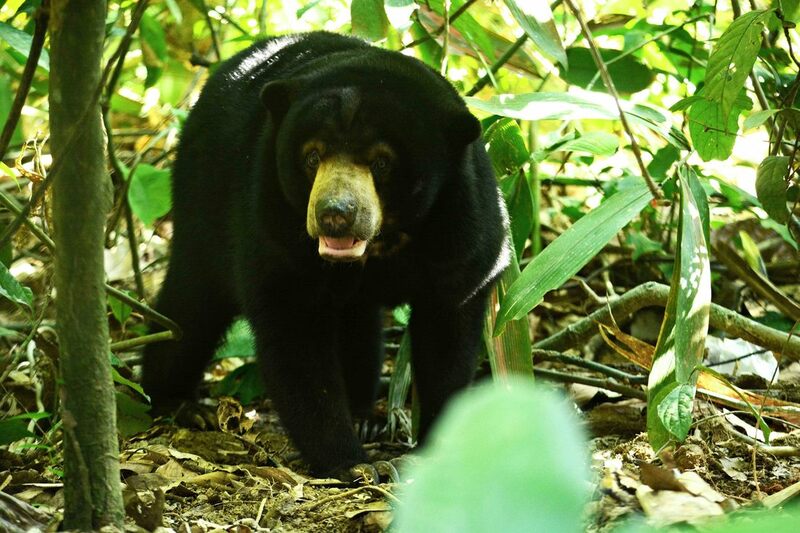 Personality: Manis is a gentle and rather solitary bear. She is the “grandmother “of the group. She shows more dominance towards the other adult female sun bears. She gets along with the entire female bachelorette group except Cerah and Jelita. Despite her age, Manis tends to spend more time on the ground than climbing trees. She is definitely doing well in the forest but at her own pace. She will find activities to occupy her time outside. She spends most of her days napping near the platform area. She has an endearing way of resting her chin on her paws, as if waiting patiently for something. Identifying mark or trait: Manis is the oldest female bear and you can see it in her eyes which are wrinkled, and her eyebrow hairs that stick straight out. Manis can often be seen at the front of the cage watching you with her elbows resting on the bars and her head on her paws. She used to pace in circles in her pen. Fortunately, she showed improvement and her pacing behavior has reduced. Adoption: Manis was adopted by Jris Switzerland through the My Bear Adoption Programme.